Described by The Journal newspaper as “a cross between Mary Portas and Stephen Fry”, Graham is a regular contributor to TV, radio, newspapers and magazines in the North East and beyond, talking about issues as diverse as new retail developments, the changing high street, supermarket pricing and the fate of ex-Woolworths sites. Graham is also regularly quoted by the national retail press, has been a judge of various business and retail awards, and has spoken at leading retail conferences and events, including the Spring Fair and Autumn Fair trade shows at the NEC, Pure London, and Co-operatives UK’s National Retail Consumer Conference in Solihull. As an established freelance writer, Graham regularly provides provided insightful and engaging retail-themed columns for national publications such as Speciality Food Magazine, Co-operative News and the Sage Blog, as well as for the industry-leading magazine Retail Week. If you are interested in hiring Graham to write for your publication, please call (0191) 461 0361 or use the contact form to detail your requirements. Here are some of the most recent mentions of Graham and Soult’s Retail View. Graham Soult: Local food ‘obvious way forward’ for Co-op Group – Co-operative News, 11 September 2014. Comment: Retailers’ stores must offer an innovative experience to customers – Retail Week, 6 August 2014. Comment: Now is the time to futureproof our retail jewels – Retail Week, 23 June 2014. Comment: Guaranteed footfall driver Primark lights up East Ham high street – Retail Week, 22 April 2014. Britain’s retail landscape ­- five years after Woolworths’ demise – Bdaily, 18 December 2013. How retailers can make the most of Small Business Saturday – Sage Blog, 2 December 2013. Woolworths collapse 5th Anniversary: My tour of Woolworths’ old stores – Retail Week, 26 November 2013. Expert analysis: How can the Co-operative make online retailing work? – Co-operative News, 13 September 2013. Get Smarter – ImagiNE (Nigel Wright Recruitment magazine), Issue 11, 2013, pp.52-54. 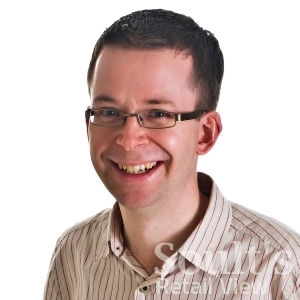 Online marketing basics for independent retailers – Bdaily, 30 July 2013. Comment: What the old Woolworths stores tell us about retail today – Retail Week, 26 July 2013. Comment: Trinity Square shopping centre – the future of our high street? – Retail Week, 7 June 2013. How can we bring empty shops back into use? – Sage Blog, 14 March 2013. A challenge from Sage: tips on starting a business in retail – FoodBev.com, 14 February 2013. Get connected – Confectionery 2012, p.26 (online marketing tips for sweet retailers and confectionery producers). Traditional Ways, Modern Days – Dairy 2012, p.18 (online marketing tips for cheese retailers and producers). 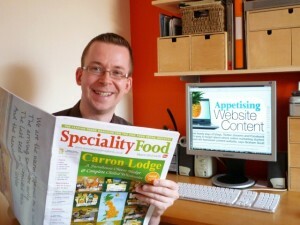 Appetising web content – Speciality Food Magazine, March 2012, p.22. Why the high street’s not doomed – Bdaily, 21 February 2012. Graham Soult on Poundland: ‘the new Woolies’ – Bdaily, 22 November 2011. 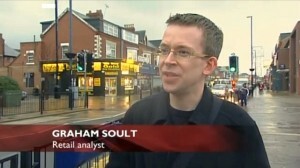 Graham Soult’s view on what makes a successful independent retailer – Bdaily, 17 October 2011. 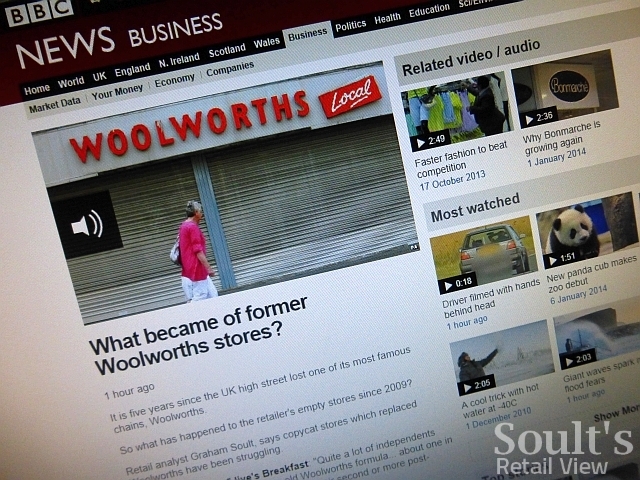 Graham Soult’s e-commerce view – Bdaily, 29 September 2011. Graham Soult’s retail view – Bdaily, 13 September 2011. Websites should be easy to use – The Journal, 27 August 2009. Chester-le-Street Town Centre, presentation of findings from town centre audit, and the issues and actions arising, to Chester-le-Street Business Association, 4 March 2014. Introduction to digital marketing, Spirit Catwalk, Pure London, 10 February 2014. The independent’s experience: starting up a new retail business, Talking Point Seminars stage, Autumn Fair International, Birmingham, 1 September 2013 (chairman of panel discussion). A view of the current retailing environment, Co-operatives UK National Retail Consumer Conference 2013, Solihull, 23 February 2013. Getting content with your web content, E-commerce & Social Media Stage, Spring Fair International, Birmingham, 4 February 2013. Getting content with your web content, Talking Point Seminars stage and Fashion Accessories Catwalk, Autumn Fair International, Birmingham, 3 September 2012. Life after Woolworths: What the current British high street can learn from the Woolworths experience, Woolworths Conference, University of Reading, 25 May 2012. Middleton Grange Retailer Awards, organised by Middleton Grange Shopping Centre. Hartlepool, August to November 2013. Middleton Grange Retailer Awards, organised by Middleton Grange Shopping Centre. Hartlepool, August to October 2012. Stockton Town Centre Business Awards, organised by Stockton Borough Council, July to September 2011. 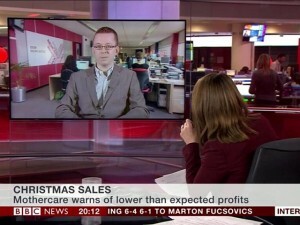 BBC News, BBC News Channel, 9 January 2014 (live interview with Annita McVeigh from the BBC Newcastle studio, discussing retailers’ Christmas trading figures). Look North, BBC One (North East and Cumbria), 25 October 2012 (talking to Sharon Barbour about the success of Newcastle’s Alive After Five initiative; live interview on lunchtime bulletin and pre-recorded piece on evening news). Look North, BBC One (North East and Cumbria), 21 September 2012 (talking to Chief Reporter Chris Stewart about the owners of Metrocentre buying the adjacent Federation Brewery site). North East Tonight, ITV1, 5 July 2012 (interviewed in the studio about the rise of single-price retailers such as Poundland). 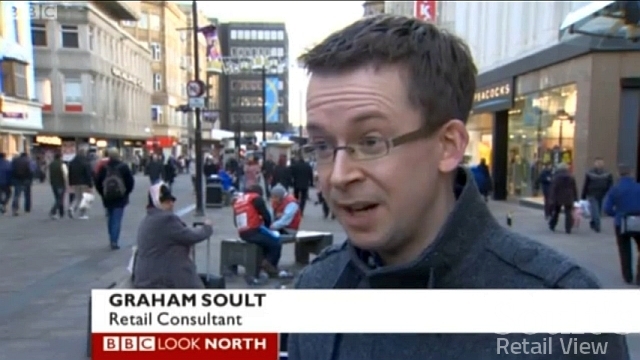 Look North, BBC One (North East and Cumbria), 11 April 2012 (talking about the reasons for increased retail footfall in Newcastle). 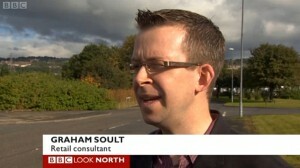 Look North, BBC One (North East and Cumbria), 12 January 2012 (talking about the changing high street). Look North, BBC One (North East and Cumbria), 7 June 2011 (talking about Metrocentre’s 25th anniversary). North East Tonight, ITV1, 14 April 2011 (talking about Metrocentre’s 25th anniversary). Tyne Tees News, ITV1, 15 February 2011 (talking about Stockton High Street). Neil Green show, BBC Tees, 17 June 2014 (talking about job cuts at Morrisons and the reasons for the retailer’s overall poor performance). Alfie & Charlie at Breakfast show, BBC Newcastle, 27 May 2014 (talking about the performance and impact of Gateshead’s Trinity Square development a year after opening). Ali Brownlee Breakfast Show, BBC Tees, 28 April 2014 (commenting on the introduction of parking charges in Yarm). Ali Brownlee Breakfast Show, BBC Tees, 9 April 2014 (discussing the Redcar Beacon vertical pier and the lack of interest in its retail/business units). Alfie & Charlie at Breakfast show, BBC Newcastle, 4 April 2014 (commenting on the state of the high street and the growth of discount retailers). Ali Brownlee Breakfast Show, BBC Tees, 4 March 2014 (discussing plans to continue the two-hour free parking trial and cut long-stay parking charges in Middlesbrough). Mike Parr mid-morning show, BBC Tees, 18 February 2014 (talking about supermarket ‘deals’, following a new report by Which?). Alfie & Charlie at Breakfast show, BBC Newcastle, 18 February 2014 (discussing the latest Which? investigation into supermarket pricing ‘tactics’, with Alfie and Gilly). Ali Brownlee Breakfast Show, BBC Tees, 15 January 2014 (talking about the sudden liquidation of indoor market operator InShops and its implications for retail tenants). Ali Brownlee Breakfast Show, BBC Tees, 10 January 2014 (discussing the performance of retailers and North East shopping centres over Christmas). Jonathan Miles mid-morning show, BBC Newcastle, 9 January 2014 (talking about what the fate of ex-Woolworths stores tells us about the changing high street). Mike Parr mid-morning show, BBC Tees, 7 January 2014 (discussing the fate of ex-Woolworths stores in the North East). Shane O’Connor’s Breakfast Show, BBC Coventry & Warwickshire, 6 January 2014 (talking about what the former Woolworths stores in Warwickshire and Coventry have become). Good Morning Scotland, BBC Radio Scotland, 6 January 2014 (chatting to Gary Robertson about what has happened to Scotland’s former Woolworths sites). Good Morning Wales, BBC Radio Wales, 6 January 2014 (talking to Felicity Evans’ about what Wales’ ex-Woolworths have become, five years on). 5 Live Breakfast, BBC Radio 5 Live, 6 January 2014 (talking to Rachel Burden about the fate of Britain’s ex-Woolworths stores, five years to the day since the chain’s disappearance from the high street). Mike Parr mid-morning show, BBC Tees, 23 December 2013 (discussing last-minute Christmas shopping and stores opening on Christmas Day). Neil Green show, BBC Tees, 19 November 2013 (talking about supermarkets’ ‘misleading’ offers, from outside Morrisons in Bishop Auckland). Ali Brownlee Breakfast Show, BBC Tees, 12 November 2013 (talking about Terrace Hill’s plans for £55m of retail and leisure development in Middlesbrough). Jon and Anne at Drivetime, BBC Newcastle, 2 October 2013 (pre-recorded interview, discussing self-scan checkouts, and trading results from Tesco and Sainsbury’s). Mike Parr mid-morning show, BBC Tees, 27 August 2013 (studio interview, discussing the future of independent convenience stores and what they can do to thrive). Alfie & Charlie at Breakfast show, BBC Newcastle, 27 August 2013 (interview in Gateshead town centre, talking about the performance and impact of Trinity Square, three months on). Alfie & Charlie at Breakfast show, BBC Newcastle, 22 July 2013 (discussing the future of Newcastle’s ex-Jessops site, six months after its closure). Ali Brownlee Breakfast Show, BBC Tees, 19 July 2013 (talking about the £50m purchase of Middlesbrough’s Hillstreet shopping centre by NewRiver and Pimco). Alfie & Charlie at Breakfast show, BBC Newcastle, 23 May 2013 (pre-recorded interview in Gateshead town centre, talking about the opening of the new Tesco Extra and Trinity Square). Ali Brownlee Breakfast Show, BBC Tees, 20 May 2013 (talking about the downscaling of Middlesbrough’s Western Gateway retail plans, and the current state of the town centre). Mike Parr mid-morning show, BBC Tees, 14 May 2013 (discussing Eric Pickles’ comments about wanting “free parking for popping to the shops”). Alfie & Charlie at Breakfast show, BBC Newcastle, 23 April 2013 (interview in Gateshead High Street, talking about the opening of Trinity Square in one month’s time). Neil Green show, BBC Tees, 5 April 2013 (talking about the rescue of HMV, from outside the store in Newcastle). Business Programme with John Atkinson and Joss Harwood, Radio Teesdale, 27 February 2013 (talking about Barnard Castle’s appeal as a retail destination). Phil and Amy Breakfast Show (with Mike Hill), BBC Tees, 23 February 2013 (talking about Barnard Castle’s strengths as a retail destination). Ali Brownlee Breakfast Show, BBC Tees, 6 February 2013 (talking about the introduction of free 2-hour parking in Middlesbrough Council-owned car parks). Phil Trow’s Breakfast Show, BBC Radio Derby, 23 January 2013 (talking about the closure of Midlands Co-op’s department stores). Jon and Anne at Drivetime, BBC Newcastle, 15 January 2013 (discussing Capital Shopping Centres’ rebranding as ‘intu’). Neil Green show, BBC Tees, 15 January 2013 (talking about the collapse of HMV). Mike Parr mid-morning show, BBC Tees, 10 January 2013 (discussing the collapse of Jessops and the challenges retailers face from changing consumer purchasing habits). Ali Brownlee Breakfast Show, BBC Tees, 7 January 2013 (talking about retailers’ trading figures over the pre-Christmas period). BBC Newcastle, 24 December 2012 (talking about the last-minute Christmas shopping rush). Mike Parr mid-morning show, BBC Tees, 20 December 2012 (discussing the growth of Christmas shopping online). Alfie & Charlie at Breakfast show, BBC Newcastle, 18 December 2012 (talking about the pros and cons of free pre-Christmas parking in Northumberland’s market towns). Ali Brownlee Breakfast Show, BBC Tees, 14 December 2012 (discussing the proportion of annual retail sales that take place in the pre-Christmas period). Ali Brownlee Breakfast Show, BBC Tees, 19 November 2012 (talking about rules for street traders in Middlesbrough). Ali Brownlee Breakfast Show, BBC Tees, 2 November 2012 (talking about town centre parking charges and the impact on retail trade). Mike Parr mid-morning show, BBC Tees, 10 October 2012 (talking about supermarket pricing and the impact of 2012’s wet summer). Mike Parr mid-morning show, BBC Tees, 13 September 2012 (interview in Stockton High Street, talking about the town’s retail offer and what has happened to ex-Woolworths sites across the UK). Jonathan Miles mid-morning show, BBC Newcastle, 6 Sep 2012 (talking about a Which? survey looking at “baffling” supermarket prices). Ali Brownlee Breakfast Show, BBC Tees, 22 August 2012 (talking about the future of the corner shop). Mike Parr mid-morning show, BBC Tees, 16 August 2012 (talking about the changing grocery market, live from Newark-on-Trent). Alfie & Charlie at Breakfast show, BBC Newcastle, 8 August 2012 (talking about the redevelopment of Newcastle’s Monument Mall). Neil Green show, BBC Tees, 30 July 2012 (talking about PwC’s data showing a rise in retail insolvencies during Q2 of 2012). 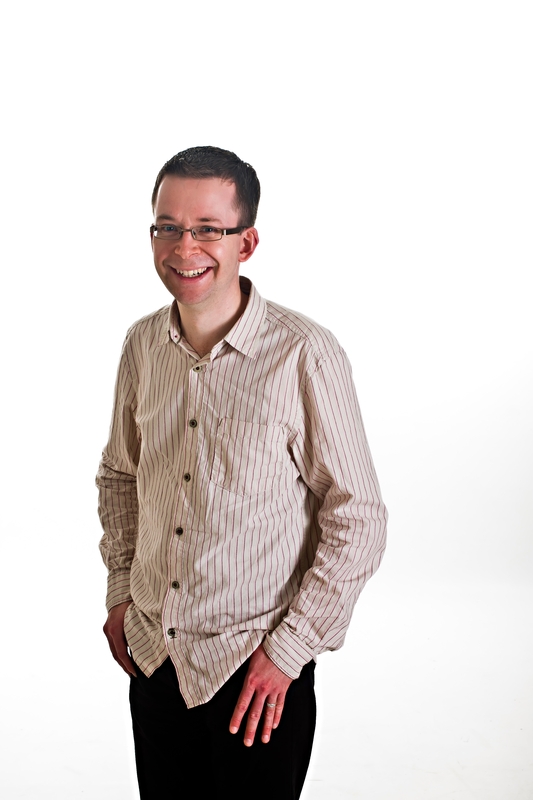 Jonathan Miles mid-morning show, BBC Newcastle, 24 May 2012 (talking about supermarket prices). Business Programme with John Atkinson and Joss Harwood, Radio Teesdale, 23 May 2012. Alfie & Charlie at Breakfast show, BBC Newcastle, 11 April 2012 (interview in Sunderland, talking about the city’s increased retail footfall figures). Mike Parr mid-morning show, BBC Tees, 4 April 2012 (talking about food sales at discounters like B&M and Poundworld in the light of The Grocer’s ‘top 50 independents’ list). Jonathan Miles mid-morning show, BBC Newcastle, 30 March 2012 (talking about Seaham’s Portas Pilot bid). Mike Parr mid-morning show, BBC Tees, 13 February 2012 (talking about Justin King’s comments about turning high-street shops into “houses and classrooms”). Mike Parr mid-morning show, BBC Tees, 5 January 2012 (talking about the January Sales in Middlesbrough). Ali Brownlee Breakfast Show, BBC Tees, 23 December 2011 (talking about Christmas shopping). Jonathan Miles mid-morning show (with Ingrid), BBC Newcastle, 5 December 2011 (talking about supermarket prices). Alfie & Charlie at Breakfast show, BBC Newcastle, 14 April 2011 (talking about Metrocentre’s 25th anniversary). Nigel Thompson show, BBC Tees, 15 February 2011 (talking about Stockton High Street). Irish Retailer Primark Sets Sail For Boston – Integrated Solutions for Retailers, 25 April 2014. High street darling Poundland heads out of town for new stores – The Grocer, 29 March 2014. Can Philip Green’s BHS c-store/pound zone hybrid actually work? – The Grocer, 28 March 2014.
Who took the old Woolworths stores? – The Grocer, 28 February 2014. Online pound shop Hereforapound.com faces legal threat – The Grocer, 15 February 2014. Woolworths five years on – Shopping Centre, 6 January 2014. Woolworths collapse 5th Anniversary: Former Woolworths stores in pictures and what they are now – Retail Week, 26 November 2013. Woolworths collapse 5th Anniversary: How has the high street changed? – Retail Week, 22 November 2013. Hot gossip from the high street – Faith Restorer [Next staff magazine], issue 403, 26 September 2013 (photo credit). Co-operative Group prepares to enter online grocery market – Co-operative News, 13 September 2013. Safety focus – Faith Restorer [Next staff magazine], issue 399, 11 July 2013 (photo credit). Hex-cited!– Faith Restorer [Next staff magazine], issue 398, 4 July 2013 (photo credit). Exciting but challenging times ahead for co-operative retailers – The Integrated Retailer, 6 March 2013. Perth re-birth – Faith Restorer [Next staff magazine], issue 381, 4 December 2011 (photo credit). 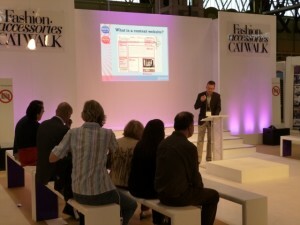 Retail Week On The Road: North East and Yorkshire – Retail Week, 12 August 2011. Retail City Focus: Newcastle – Retail Gazette, 5 August 2011. Ugo woos Netto shoppers – by offering them Netto – The Grocer, 24 January 2011. Five ways Aldi cracked the supermarket business – BBC News, 22 July 2014. Primark, la megatienda que intenta seducir a los consumidores estadounidenses – BBC Mundo, 1 May 2014. Megatienda quiere seducir a consumidores estadounidenses – Elnuevodia.com, 1 May 2014. Primark, la megatienda que intenta seducir en los EE.UU. – Terra, 1 May 2014. Yarm car parking charges come into force – BBC News, 28 April 2014. Primark Hadir di AS Tahun Depan – Metrotvnews.com, 28 April 2014. Toko Grosir Primark Berekspansi ke Boston – Pikiran Rakyat, 27 April 2014. Toko grosir Primark ekspansi ke AS – BBC Indonesia, 26 April 2014. A UK-based American tells the US what to expect from Primark – BBC News, 26 April 2014. ‘We’ll give the rest a good pounding!’ Number of UK Poundland stores to double – Daily Star, 20 February 2014. Five ways Justin King turned around Sainsbury’s – BBC News, 30 January 2014. What became of former Woolworths stores? – BBC News, 6 January 2014. Plans for Middlesbrough retail development met with mixed feelings – Movehut, 17 November 2013.
Business figures ‘cautious’ over £55m development plans for Middlesbrough – BBC News, 13 November 2013. 11 great ways to use digital technology in retail stores – Econsultancy Blog,18 July 2013. Got a question about setting up or running a retail business? Ask a Sage Business Expert – Sage Blog, 16 July 2013. Is Primark mad to ignore ecommerce? – Econsultancy Blog, 1 May 2013. Top tips when starting a business – Sage Blog, 11 February 2013. New Year’s Resolutions for business success in 2013 – Sage Blog, 8 January 2013. SMEs have low hopes for the Autumn Statement – XLN Business Blog, 5 December 2012. Small businesses expect little from Autumn Statement – SmallBusiness.co.uk, 4 December 2012. What would you like to see for small businesses in the Chancellor’s Autumn Statement?– Sage Blog, 4 December 2012. Staff at Phones 4u North East stores await fate of retailer – The Journal, 15 September 2014. Tesco Extra in Kingston Park to get multi-million-pound makeover – The Chronicle, 28 March 2014. Kingston Park Tesco brings Giraffe restaurant to the region – The Journal, 28 March 2014. Just two out of 33 former Woolworths sites in the North-East are unoccupied, according to new research – The Northern Echo, 7 January 2014. Former Woolworths stores across North East have new owners – The Chronicle, 7 January 2014. Pick ‘n’ mix – what are the North East’s former Woolworths stores now? – Bdaily, 6 January 2014. 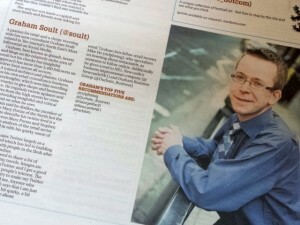 Graham Soult (@soult) – The Journal, 22 November 2013, The Most Influential People in the North East 2013 supplement, p.54. ‘Use Barnard Castle high street – or risk it shutting down’ – Teesdale Mercury, 20 November 2013. UK retail sales slump in October despite economy growth – Bdaily, 14 November 2013. Crook and Weardale News – Northern Echo, 11 November 2013 (announcement about one of Graham’s Woolworths history talks). Slideshow: Top honours for top Hartlepool shops – Hartlepool Mail, 3 November 2013. Sale of the century – The Journal, 1 November 2013 (J2 article looking at how the shops on Newcastle’s Northumberland Street have changed over the years). Hartlepool fights back against ‘decaying town’ article in The Economist – Hartlepool Mail, 14 October 2013. NEtwitterati: Jamie Anderson – Barrister practising from Trinity Chambers – The Journal (online), 24 September 2013 (featuring a #NEtwitterati recommendation for Graham Soult). NEtwitterati: Graham Soult – Owner of CannyInsights.com – The Journal (online), 18 September 2013. Scorching summer and beer gardens boost North East economy – Bdaily, 12 August 2013. Will Costa Coffee filter out independent café traders? – Hexham Courant, 14 June 2013. Newcastle Business Forums project will help put Heaton businesses in the spotlight – The Journal, 15 April 2013. Website puts Heaton’s shops on map – Bdaily, 12 April 2013. Debenhams rated top for mobile retail – Bdaily, 11 April 2013. Mary Portas pilots scheme retailers defend progress in North – Sunday Sun, 3 March 2013. A sorry state for shopping – Hexham Courant, 8 February 2013 (arguing that Hexham’s retail offer remains strong, despite some empty units). Changing face of Clayton Street in Newcastle – Evening Chronicle, 6 February 2013. Britain’s high street blues – Sunday Sun, 3 February 2013. Top dog no longer – The Journal, 16 January 2013 (feature in J2 section about the reasons behind the collapse of HMV). Remember When: Butcher, baker, tanning salon – Evening Chronicle, 3 January 2013 (feature about the changing retail mix of Byker’s Shields Road). Canny Durham Business Club member signed up as Sage Business Expert – Durham Business Club, 17 December 2012. Gosforth High Street’s transformation over past 35 years – Evening Chronicle, 13 December 2012. Dark Days: Christmas Lights Budget Under Threat In City Council Cuts – Sky Tyne and Wear, 2 December 2012. Newcastle City Council could axe decorations – Sunday Sun, 2 December 2012. Retail sales drop 0.6% in October – Bdaily, 15 November 2012. Metrocentre planning to attract more posh shops – Evening Chronicle, 7 November 2012. Embrace Retail Award winners announced at Middleton Grange – Bdaily, 16 October 2012. Shortlist announced for Embrace Awards – Bdaily, 9 October 2012. JJB Sports collapses and 2,200 face redundancy – Bdaily, 1 October 2012. CannyInsights.com from the NEC to DBC! – Durham Business Club, 25 September 2012. JJB shares plummet after US investor withdraws – Bdaily, 16 August 2012. Ten minutes with… Mark Rycraft – Northern Echo, 7 August 2012 (mentioned by the manager of Hartlepool’s Middleton Grange shopping centre as his “best person to follow on Twitter”). Shop vacancies return to an all-time high – Bdaily, 3 August 2012. Could it be heating up in the pasty market? – Northern Echo, 1 August 2012. The Hub Gateshead teams up with Bdaily – Bdaily, 19 June 2012. Retail parks and high street can co-exist – Bdaily, 17 April 2012. North East retail consultant develops an appetite for writing – Durham Business Club, 4 April 2012. Blogging opens industry doors for Hub member retail consultant – The Hub Gateshead, 3 April 2012. Olympic Sunday trading Bill enters House of Lords – Bdaily, 29 March 2012. High-Street Review welcomed by FSB – Bdaily, 13 December 2011. Gateshead man tells of Woolworths obsession – Sunday Sun, 11 December 2011. Is there hope on the North East high street? – The Journal, 30 November 2011. 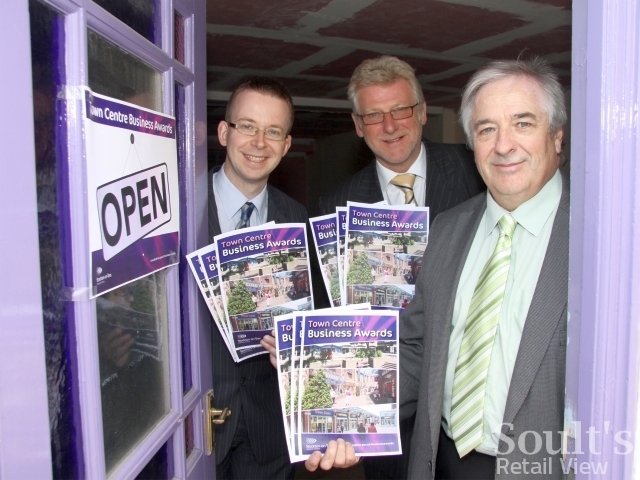 Celebrations for Town Centre businesses – Stockton News, Winter 2011/12, pp 12-13. Many to the pound – Northern Echo, 7 November 2011. Stockton Council’s first Town Centre Business Awards – Evening Gazette, 18 October 2011. Businesses are toast of town centre – Northern Echo, 7 October 2011. Search for best businesses in Stockton – Evening Gazette, 21 July 2011. 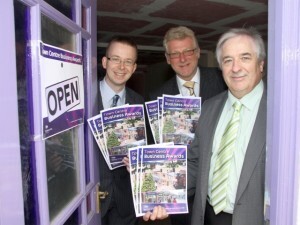 Search is on for borough’s best firms – Northern Echo, 20 July 2011. Metro Centre at 25 – ITV Tyne Tees website, 14 April 2011. City centre Collectables store set to move – Evening Chronicle, 10 March 2011. Enter the Enterprise Arcade – Evening Gazette, 13 December 2010. Big freeze and cold comforts – Chris Jackson’s Blog, BBC News, 6 December 2010. Experts: ‘Barnard Castle has one of most successful town centres in UK’ – Teesdale Mercury, 24 November 2010. Retail expert praises town – Teesdale Mercury, 2 June 2010, p.7. Store group pursues takeover bid for Robb’s – Hexham Courant, 28 May 2010, p.1. Town must capitalise on prime Robb’s site – Hexham Courant, 21 May 2010. Store ‘limping along for years’ – Hexham Courant, 14 May 2010. Retail blogger bags plenty of recognition – The Journal, 25 February 2010. 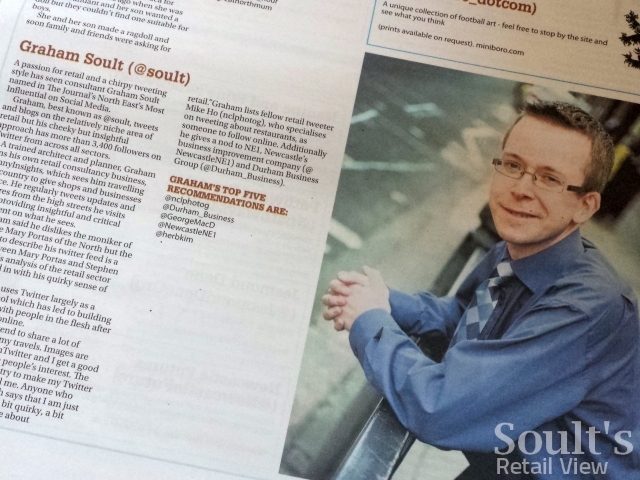 Soult Makes His Name In UK Retail Blogosphere – Entrepreneurs’ Forum News, 25 February 2010. I am always happy to be contacted for comment by members of the media, or to discuss writing an article for publication – just use the contact form link at the top of the page, drop me a tweet, or give me a call (during office hours) on (0191) 461 0361. If you need a high quality photograph of me, there’s one to download here.